Dr. Amy Vollmer is Professor and Department Chair of Biology at Swarthmore College. She received her Bachelor’s degree in Biochemistry from Rice University and her PhD in Biochemistry from the University of Illinois, Urbana-Champaign. Afterward, Amy conducted postdoctoral research in Immunology at Stanford University and served on the faculty at Mills College before joining the faculty at Swarthmore where she is today, conducting research and teaching students. Amy is with us today to tell us all about her journey through life and science. Family is really important for Amy, and she likes to spend her spare time on the phone with her sisters and two grown children. Amy and her husband own a small Italian deli and market, and you can often find her at the store when she’s not in the lab. Amy is interested in understanding how bacteria sense and respond to their environment. In addition to her research, she is passionate about teaching through her classroom lectures and public science literacy efforts. Both of Amy’s parents are chemists, so she grew up surrounded by science. Amy remembers going in to the lab with her dad on Saturdays between her piano lesson and ballet lesson. She would watch her dad set up experiments and other lab members would show her what they were working on. Donning safety glasses and hanging out in the lab seemed normal and natural to her as a kid. One of her first major struggles was when she started college at Rice University. The school was fantastic, but she was surrounded by smart people who were all used to being at the tops of their class. Though she had previously prided herself in succeeding academically on her own, she realized that she really needed help. Amy quickly discovered that her high school physics class did not prepare her well for college-level courses and she had to reach out to get help. For faculty at small colleges, it can be frustrating when people do not take your research seriously or view your position as a less desirable career path compared to a large research university. It has been really rewarding to participate in a diverse and inclusive community of researchers studying microbial stress response. They meet every other year at a conference and she is pleased to be treated as an equal and for members of the group to recognize that pursuing a position that prioritizes research and teaching is not a lesser career. Amy has been delighted by her experiences visiting the city of New Orleans. She has traveled there a few times now for conferences and each time she is impressed by the people she meets and the feel of the city. It has been interesting to see New Orleans before and after Hurricane Katrina because so many things have been restored, but it is also striking to realize that so many things have not. A great tradition in the lab where Amy did her PhD is to take a group lab picture every year. While Amy was there, the group was reviewing previous pictures to prepare for the annual event. They noticed that their advisor was always the only one wearing a tie in the photos so they decided they would all wear ties over their normal lab apparel for the photo that year. The photo came out fantastic, and it was funny to catch up with people years later when their advisor retired and hear about how all of them had adopted the annual group photo tradition. Do what you love. Try to embrace what you do everyday with a sense of wonder and a sense of passion. Since 1989, Amy has been a faculty member at Swarthmore College, where she served as chair from 2003-2005. At Swarthmore she teaches courses in microbiology, biotechnology, and team-teaches in the introductory biology course. She has also offered courses in bioethics and adult learning courses about bacteria and viruses. Presently, Amy is planning a new course in astrobiology. Her research focuses in the area of bacterial stress response and she has supervised over 70 undergraduate students in projects in her laboratory. Many of Amy’s students have presented their work at national meetings. She has published numerous papers and has authored a dozen chapters and reviews – in areas of teaching as well as research. Amy lectures on her research, teaching, and promoting science literacy. She is also often invited to speak about mentoring, networking, job hunting and career development. Actively involved in the American Society for Microbiology for many years, in 2006, she was the recipient of the Carski Distinguished Undergraduate Teaching Award from the ASM’s American Academy for Microbiology. Since 2007, she has served as president of the Waksman Foundation for Microbiology. 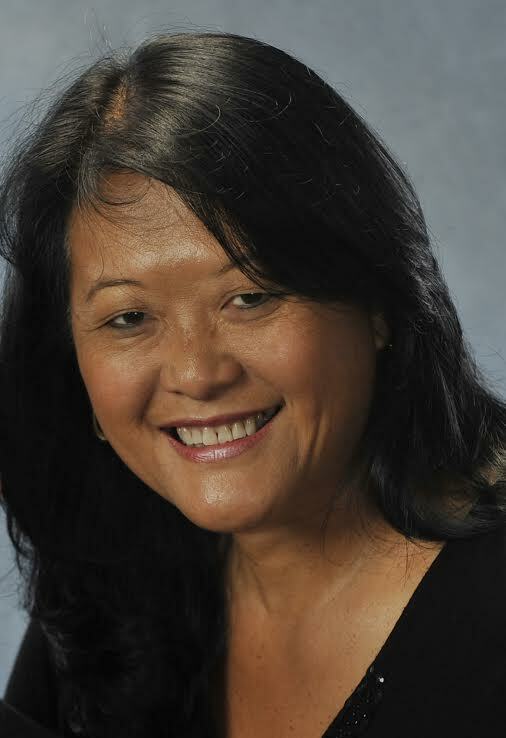 Vollmer is a first-generation Chinese American. She has 2 adult offspring and three sisters with whom she is very close. Amy lives in north Wilmington, DE with her husband, Anthony Stella.